A plan of the development generated by architects RG+P. We can get a glimpse of a sustainable, one planet urban community might be like by looking at existing projects. Presently, the largest permaculture-based, Passivhaus urban eco-community in Europe, is being developed in Leicester, England. When finished, the settlement will contain 68 homes for rent at affordable rates for essential workers. It is happening on the site of former, disused Whittier Road land on Heathcott Road, Leicester. The developer is East Midlands Homes, a provider of affordable housing, in partnership with Westleigh Homes. Westleigh is taking on new apprentices to learn building skills to help construct the homes. At the edge of the site will be a farm, to be run on Permaculture principles, on which residents will be encouraged to work, to grow their own fruit, vegetables, other foodstuffs and supplies. When finished it will provide an urban oasis. The field pond will be refreshed, and hedgerows reinstated to connect a wildlife corridor on Saffron Heath, creating a diverse wildflower meadow and planting 800 new trees, many of which will be fruit trees, on the site. Saffron Lane Neighbourhood Council (SLNC), a charity and social enterprise, is behind the “Building a Greener Future” project. The site already contains a community garden, and has produced everything from striped beetroot and blue pumpkins, supplying a range of local restaurants with specialised herbs and vegetables and supporting local community projects, including their own brand and jam. This work is expected to expand upon completion of the estate. The Neighbourhood Council exists “to provide a range of services to support disadvantaged residents of the Saffron Lane Estate and environs to reach their full potential”. Its resource centre is around the corner from the 12 acre site. The 68 houses will be constructed according to Passivhaus principles which means that the annual running costs per year for heating will be just £13 per home, according to Standard Assessment Procedure software calculations (used by all developers to comply with Building Regulations). The majority of homes in the UK are constructed to level 3 of the Code for Sustainable Homes, meaning that homes comparable to these would use about 8801kWh per year and cost £735 per year to run. Passivhaus is a standard for energy use in all building types. The homes will be of energy-efficient design, oriented to face south with increased south facing glass, super-insulated and with effective window shading and ventilation and moisture control, plus minimized building surface-to-volume area, protected from wind and with the cooler service spaces located on the northerly side. The specific heat load for the heating source at the desired temperature is recommended, but not required, to be less than 10 W/m2. 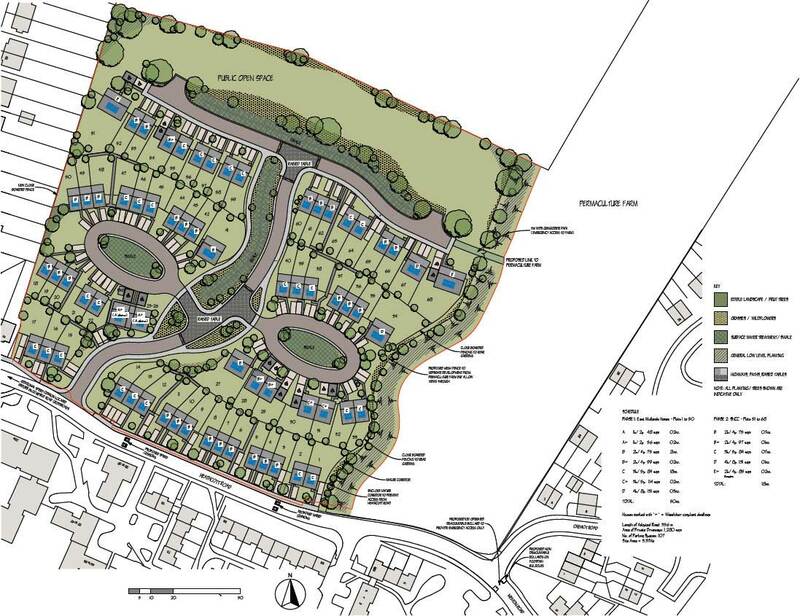 Neil Hodgkin, Head of Development at Saffron Lane Neighbourhood Council, said that “the original plan had been for the 68 homes to be built around the farm so that they would look onto it in a village green type construction, but this was not approved by the planners”. He added that since the houses are to be rented, the residents will have to sign a contract with the housing association, but “it will not be a feature of the contract that they have to do work on the farm, nevertheless they will receive encouragement and training”. Efficient use of natural resources. Energy Management in Industry: The Earthscan Expert Guide.